Efficient reactor dismantling by laser beam cutting? | Laser Zentrum Hannover e.V. This new system is supposed to enable the direct dismantling of nuclear facilities (reactor pressure vessels). 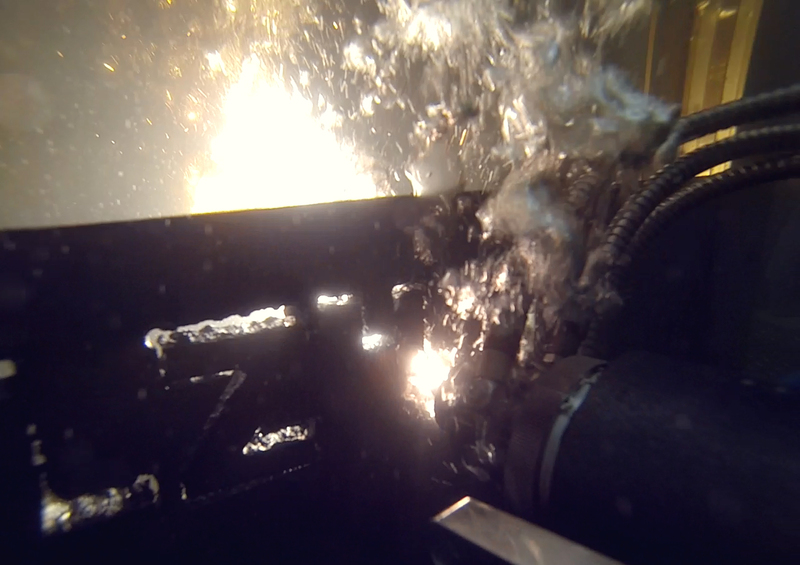 Laser beam cutting offers significant advantages compared to conventional cutting methods, such as water jet cutting or sawing techniques. Above all, the binding of the kerf material on the exit side is a major advantage of the laser process. The expense for the final cleaning of the water basin floor is significantly reduced, as the amount of secondary or technology waste is significantly lower compared to water jet or sawing techniques. The disposal of this waste is time-consuming and costly. In addition, sawing techniques are prone to jamming of the tool. This cannot occur with laser beam cutting. Thus, the process times could be shortened. 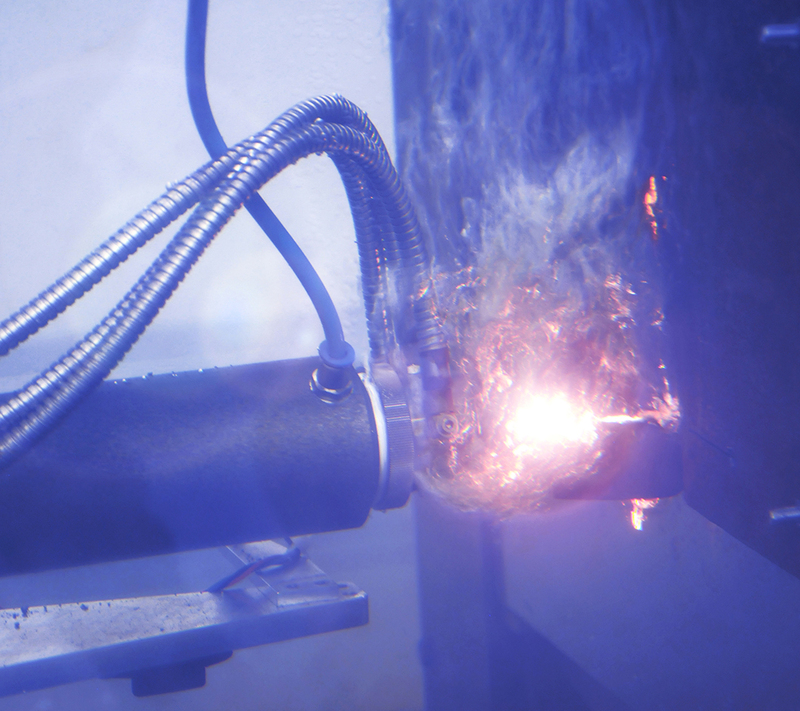 The laser beam cutting would therefore represent a much cheaper alternative for the dismantling of the reactor components. The project "Automated separation of reactor pressure vessel installations using underwater laser technology" (AZULa) is carried out together with the Orano GmbH. AZULa is sponsored by the Federal Ministry of Education and Research (BMBF) under grant number 15S9408 by the project coordinator Gesellschaft für Anlagen- und Reaktorsicherheit gGmbH (GRS).